Shows how the Personal Shopper APIs are used to programmatically interact with the MC18 cradle. This sample application will show how the Personal Shopper APIs can be used to interact with the MC18 Cradle programmatically. With the MC18 seated in the cradle. Launch the PersonalShopper API sample. When the application starts it should look like the following. 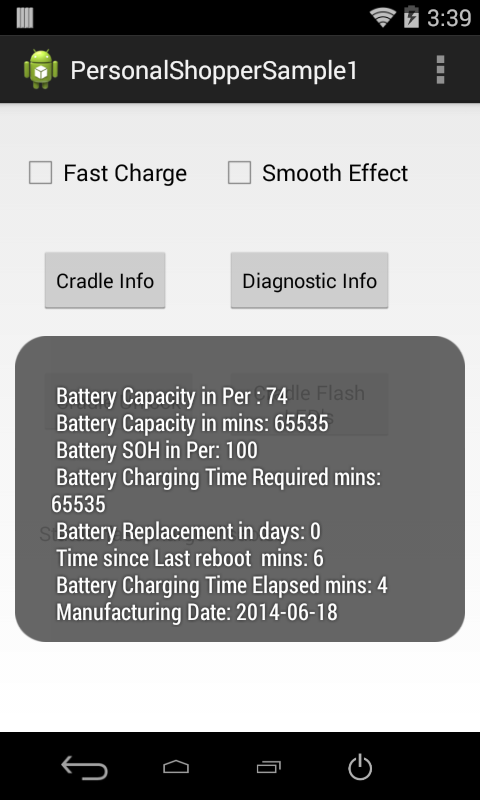 Press the Fast Charge checkbox to enable/disable fast charging. 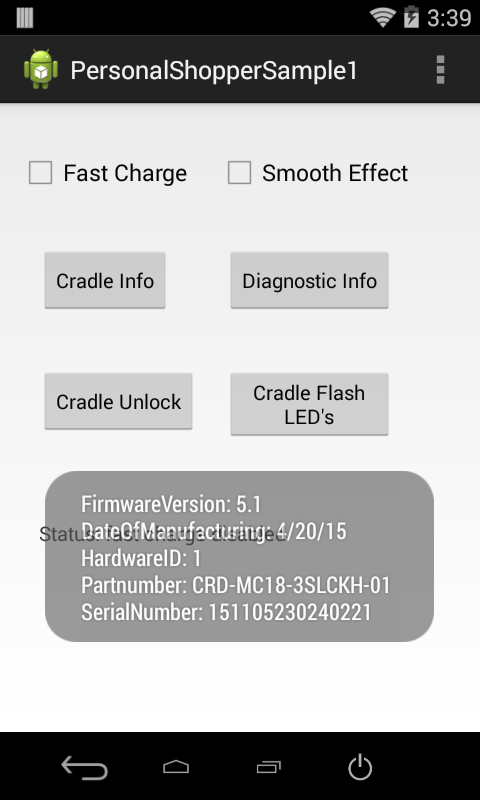 Press the Cradle Info button to retrieve information about the cradle, such as the cradle's firmware version. Press the Diagnostic Info button to retrieve information such as the the MC18 battery capacity. Press the Cradle Unlock button to unlock the crade, which will allow the MC18 to be removed. 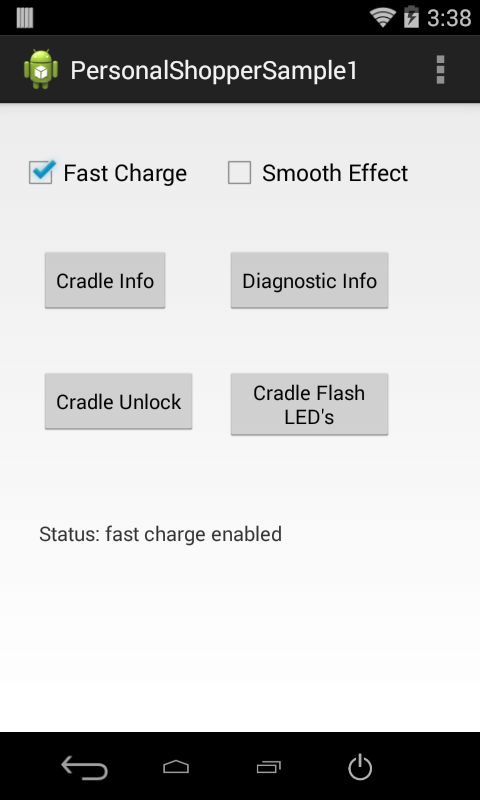 Press the Cradle Flash LED's button, which will flash the cradle LED's 5 times. Press the Smooth Effect checkbox to enable/disable smoothing effect and then press the Cradle Flash LED's button again. Notice how the LED's fade in and out, instead of an abrupt on/off state change.